directors. 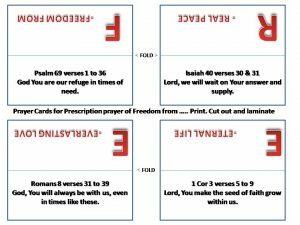 Take the Freedom cards and as you manifest this prayer. powerful Prayer will only take a few minutes. and the comforting and leadership abilities of your Holy Spirit. us our daily sins, Lord. God, we renounce every activity of the Occults over our life! We renounce every curse over us! his followers has over our life right now! We renounce it and declare it “Broken” in the powerful Blood of Jesus! faith and Pray about everything! God, You are our refuge in times of need. I place it, we will have it, and we believe it, thank you God. Lord, we will wait on Your answers and supply. I place it, we will wait, and we believe it, thank you Lord. God, Your are always with us, even in times like these. I place it, we will see it, and we believe it, thank you God. Lord, we plant and water but the seed of faith You, makes it to grow. I place it, we will water it, and we believe it, thank you Lord. Jesus, You promise us total peace and rest. I place it, we will receive it, and we believe it, thank you Jesus. Lord, our suffering will end up in Joy and Glory. I place it, we will receive it, and we believe it, thank you God. 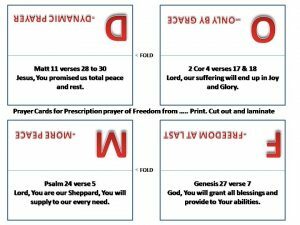 Lord You are our Sheppard, You will supply our every need. I place it, we will receive it, and we believe it, thank you Lord. God. You will grant our request and give Blessings. 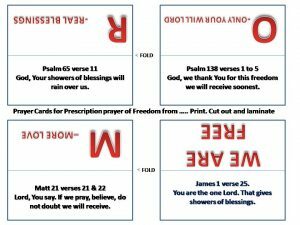 God, Your showers of blessing will rain over us. I place it, we will feel it, and we believe it, thank you God. God, we thank You for this FREEDOM we will receive. I place it, we will pray, we will believe, thank you Jesus. under Your protection, Lord. And keep us from any Trouble and pain. prayer and grant us our request. You for Your Majesty and Victories. God, You are “Jehovah Nissi” The God, our Protection. God, You are “Jehovah Rapha” The God, our Healer. God, You are “Jehovah Shammah” The God, that’s with us always. and our damages into salvageable hidden treasures from Heaven. Holy Spirit thank you for being our Leader. God, let Your Will be done.